German automaker expects to spend nearly $60 bil on batteries alone. 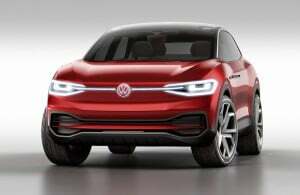 VW's CEO Herbert Diess said the company made arrangements to buy 50 million electric vehicle batteries. 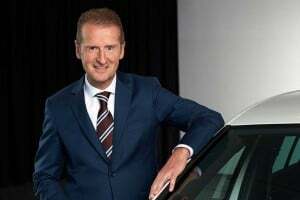 Even though it won’t launch its first long-range battery-electric vehicle, or BEV, until next year, Volkswagen’s CEO is forecasting massive growth in the sector, the German automaker already having “booked” plans to build 50 million BEVs. Precisely how long it will take to hit that target Volkswagen Chief Executive Herbert Diess didn’t say during an interview with German trade publication Automobilwoche. But the VW Group is expected to sell 10.7 million vehicles this year, a figure that includes a broad range of powertrain technologies, primarily diesel and gasoline. The launch of a Golf-sized all-electric model next year will put Volkswagen in direct competition with Tesla, and the Germans are preparing to roll out an array of other BEVs, including a reborn Microbus set to be called the I.D. Buzz. Sibling brand Audi, meanwhile, just introduced its first BEV, the e-tron SUV. All told, the various VW Group brands, ranging from entry-level Seat and Skoda to high-line Bentley and Lamborghini, plan to have at least 40 all-electric models in showrooms by 2025. 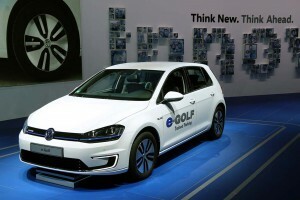 The bold forecast by Diess, who was named VW CEO in a corporate shake-up last April, comes despite the fact that all forms of electrified vehicles accounted for less than 4% of global new vehicle sales last year, with BEVs coming in at under 1%. But demand has rapidly risen in 2018, driven in part by new emissions and mileage regulations in key markets including the U.S., Europe and China. The latter region is now the largest market for BEVs and plug-in hybrids, with sales booming in the wake of China’s enactment of New Energy Vehicle, or NEV rules. As the largest automaker in China, VW is facing significant pressure to add more electrified models there. But “sales are picking up” in numerous other markets, Diess said in his Automobilwoche interview. Industry analysts are betting demand will continue to grow as new models overcome dreaded “range anxiety,” while prices also begin to drop. An entry-level Volkswagen model, being referred to internally by the codename MEB Entry, reportedly will carry a starting price of around $23,000. The MEB is a unique platform that will be used for a wide range of different electrified VW Group vehicles, much like the current MQB platform used for diesel and gas models sold across the group’s range. The VW e-Golf is already on sale. “We have bought batteries for 50 million vehicles,” Diess said in his interview, with those batteries expected to cost the automaker about 50 billion euros, or $56 billion. Not all of those will be used in fully electric models. The various VW Group brands also will be expanding their range of mild, conventional and plug-in hybrids, as well as BEVs. In fact, many experts believe that the vast majority of vehicles on the road by 2025 will use some form of electrified powertrain technology. VW has laid out one of the most aggressive electrification strategies of any major automaker. It is also reportedly in talks to partner with erstwhile U.S. rival Ford Motor Co. The two carmakers signed a memorandum of understanding last June focusing on projects in the light commercial vehicle field. Since then, however, they have expanded the scope of their discussions, sources at both companies have told TheDetroitBureau.com, noting that this could include joint efforts on electrification. While some aspects could take time to formalize, some sort of initial announcement is expected by year’s end. This entry was posted on Monday, November 12th, 2018 at and is filed under Asia Pacific, Automakers, Automobiles, China, EVs, Electrified Vehicles, Europe, Executives, Hybrids, Markets, NAFTA, Personalities, Sales, South America, Technology, Tesla, Trends, U.S./North America, Volkswagen. You can follow any responses to this entry through the RSS 2.0 feed. Both comments and pings are currently closed.